Did a great job on binding my area rug. Quick Service and price was very reasonable. When my husband and I decided that we wanted to install carpet, we knew exactly where we wanted to go. Living in the area there are a plethora of places to choose from but after seeing the hustle and bustle of this store front day in and day out, we knew that they were busy for a reason. 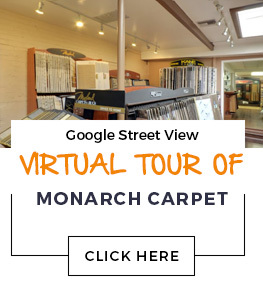 At Monarch Carpet we were pleasantly surprised to walk into a loving and caring environment and this was evident in the service we received from Joyce Tanner. She truly cares about her customers and takes all of your needs into account. She is the curator of patterns, textures and color. She knows how to find items to match your interior and her eye for design can bring you items that you never thought possible. Joyce really has an eye for design and it shows. We cannot wait to work with her again. She is a gem! Bought two carpets; 9x10 , 8x9 and a runner. Great service, great selection of carpets. Will return in the future.